Sara Andrews is a former policy advisor and strategy consultant who developed the idea for Bumbleroot while serving in TechnoServe's Volunteer Consultant Program (now the TechnoServe Fellows Program) in Zimbabwe. A Montana native and graduate of the University of Notre Dame, she prefers to be outdoors rather than indoors. Sara Andrews: I’m originally from Montana and spent the first part of my professional life as an advisor to U.S. Senator Max Baucus on agriculture and international trade issues. While I was on Capitol Hill, I recognized the contributions business was making to economic development in low-income countries. That led me to business school to better understand how businesses operate in developing regions. I began working in corporate strategy at Aon where many of my projects were based in emerging markets. Intrigued by the innovation I saw on the ground, I started exploring organizations for which I could work in a developing country and discovered TechnoServe, which was starting an office in Zimbabwe and looking for Volunteer Consultants. I had read a bit about Zimbabwe -- its history and its potential – and I jumped at the opportunity. 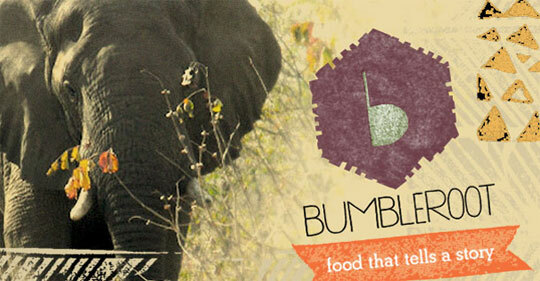 The idea for Bumbleroot came about while I was working for TechnoServe in Zimbabwe. Sara: Zimbabwe had been the “breadbasket of Africa,” but in the past decade the commercial farming industry, which accounted for most of the production in the country, collapsed. There are millions of smallholder farmers in Zimbabwe, but they were lacking the finance, training and market linkages needed to meaningfully contribute to agricultural production in the country. TechnoServe wanted to understand potential business models that could increase smallholder production in Zimbabwe. One of my projects was to analyze contract farming and outgrower schemes throughout southern Africa to identify best practices and determine which models might work best in the country. I also worked with the soy industry to develop a plan to increase smallholder production of soybeans and with the tourism industry to engage local communities to grow produce for hotels and lodges. I learned that a lot can happen when you bring the right players together and that education is critical – the literacy rate in Zimbabwe is over 90 percent. Having a hardworking, educated population has enabled Zimbabwe to make an incredible comeback after experiencing trillion-percent inflation just a few years ago. I fell in love with Zimbabwe while I was there – the people are amazing and there is a great entrepreneurial spirit. Nothing seems impossible. I also worked with incredible people including TechnoServe’s Country Director, Margaret Rose and my fellow Volunteer Consultant, Tamsin Chislett. We had many discussions about agriculture, health and social impact, and those chats greatly contributed to Bumbleroot’s business model. Q: What prompted you to launch Bumbleroot? What is the business model? 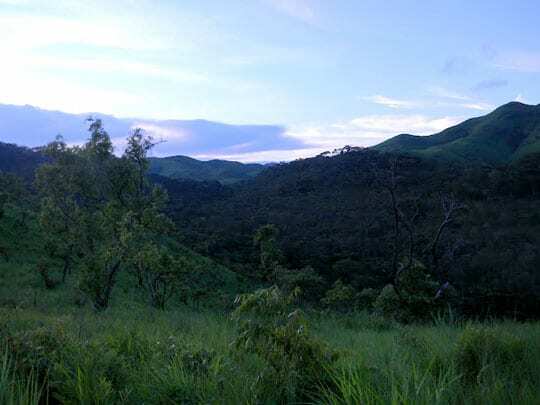 Sara: Zimbabwe and the surrounding countries in southern Africa are blessed with an abundance of natural resources, including incredible biodiversity. And yet, about 70 percent of the population lives beneath the poverty line. 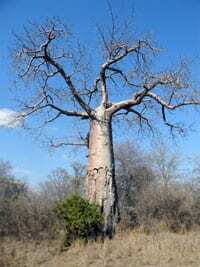 The baobab is a tree that is abundant in Southern Africa, especially in rural areas. It’s known as the “tree of life.” I was always in awe of this tree. It has a huge knotted trunk and looks like it has been pulled out of the ground and turned upside down. It provides shelter and food for communities in rural areas. The fruit is a superfood and contains a powder that is rich in antioxidants, vitamin C, potassium, calcium and magnesium. Given the nutritional benefits of the fruit, the tree has the opportunity to increase incomes for the people living in areas with baobab trees. Bumbleroot was founded to create products utilizing baobab and other interesting high-value food products grown and harvested from low-income communities around the world. We source from farmers who are committed to sustainable practices and receive a fair income for their products. Initially, we are targeting consumers in the United States and our first product is a powdered drink that includes baobab and coconut water, and is sweetened with coconut sugar. It will be launched this fall in three flavors which will be announced soon. A percentage of Bumbleroot’s revenues will be reinvested into food security and education projects in the communities that harvested or grew the ingredients in our products. Q: What has your experience been like launching the company? What have been the greatest challenges? Sara: Bumbleroot started as an idea a little over a year ago. Now we’ll be launching in a few months. The process of starting a business has been so interesting. I compare it to putting together pieces of a puzzle – you have a vision of what you want it to look like, but sometimes there are missing pieces and sometimes there are pieces that just don’t fit. Yet somehow it all comes together. I have a team of incredible advisors and friends who have rallied around Bumbleroot. It seems that whenever we face a hurdle, there is always a solution to be found. Time has been the biggest challenge – I’m still working a full-time job and I don’t always get to spend as much time as I’d like on Bumbleroot. Q: What is your vision for the company in five years? Sara: I want Bumbleroot to be a brand that is recognized by consumers as a company that provides interesting, high-quality, delicious and nutritious products. We plan to expand from powdered drinks into other lines, including snack bars, honey and salt. I hope our customers are engaged in understanding where these products come from and that their purchase creates a positive impact in the lives of the suppliers. I also hope it can contribute to the discussion about how our food system can change toward a more sustainable model. From the types of inputs (fertilizers, pesticides) that are used in food production to the final packaging used in finished food products, there are a lot of improvements that can be made in the industry. While we will be incorporating sustainable practices into our own supply chain, we also want to bring the discussions we are having to a larger audience. The Bumbleroot blog will provide a forum for these discussions.